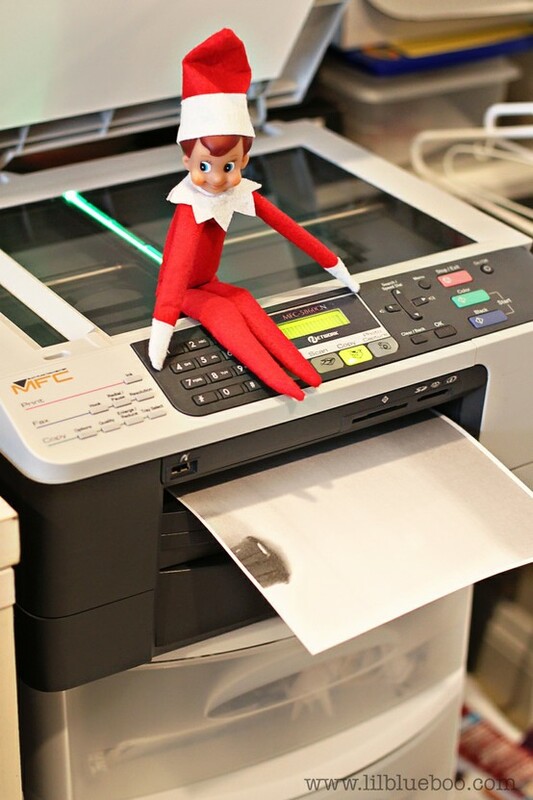 December 1st is elf on the shelf day! 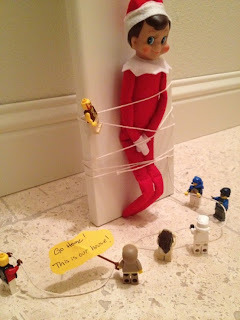 I was introduced to the elf on the shelf phenomenon last year by Mason. Elf was the talk of his class and a couple of his friends had the little buddy. Mason added him to his letter to Santa, and like any other toy I haven’t heard about, I Googled the thing. Apparently Elf on the Shelf was developed by a mom a while back, who saw the income benefit and developed a marketable product. He (and now available in she, so I hear) is less that appealing in looks and requires a bit of parent time. We probably over-do it a bit. We bought our elf about half way through December last year. We wrapped him up in parcel wrap, included a letter from Santa and left him in the mailbox for Mason. Pierre and I named our elf “Joey” before the kids came home to dodge the name fight. Port Elgin to celebrate Christmas with my parents. He got around quite a bit and made Lauren nervous enough to dress in the bathroom one night he was in her room. For the last 11 months, Charlotte has been missing Joey, she has been asking at least once a week about Joey. The older three kids started talking about Joey over the last couple weeks. And the good news is, Joey popped out of his hiding spot this weekend and is waiting in hiding for his appearance on December 1st – which has already been planned by four excited kids. Check out this link – 100 Mischievous Elf Ideas for some fun spots and ways to hide your elf.